Martin Seligman helped launch positive psychology. In Flourish: A Visionary New Understanding of Happiness and Well-being, he redefines it. The book is important, and strongly recommended for anyone interested in deeply understanding positive psychology. That said, it is not a self-help book, and may not be terribly useful to the average person who wants to be flourishing more in life! Like any good mental model, I find this one useful and, at the same time, incomplete. Are these really the key components to flourishing in life? What about health? But despite PERMA’s imperfections, it’s a memorable way to extend our concept of positive psychology. It’s not just about happiness, it’s really about thriving in life. 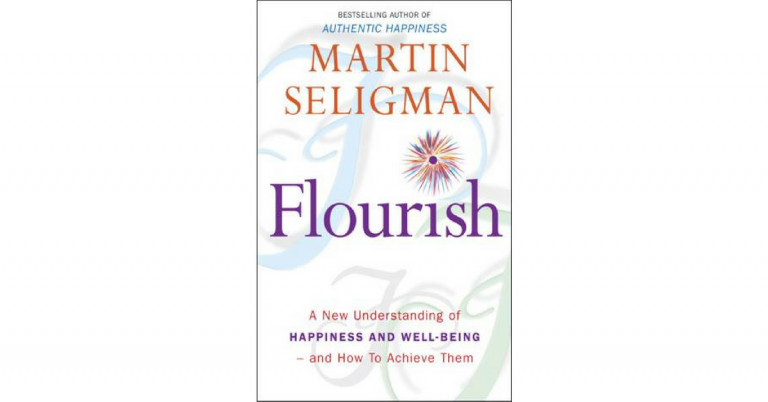 Flourish: A Visionary New Understanding of Happiness and Well-being is an important contribution to an important field. It describes the work that Seligman has led with the US Army’s resilience program, the Master of Applied Positive Psychology program that he leads at the University of Pennsylvania, and more. If you are intrigued by the history and future of positive psychology, I highly recommend Flourish. If you want practical suggestions for being happier at work and in life, I think you can do better with other books.